Shopping for a full size pickup truck opens up a wide variety of options. Today, truck shoppers are inundated with new vehicle choices. Even with all the trucks available today, there is one that remains a standout. Introducing the new 2018 Ford F-150. This capable, hardworking machine aims to please and delivers a rewarding performance, whether you're towing or are hauling. With that said, you may be curious just how the F-150 performs against the competition. Here we have matched the F-150 with another strong truck in the segment: the 2018 Toyota Tundra. As you can see here, even with its strengths the Tundra simply can't match the Ford F-150's performance or capability. In fact, the 2018 Toyota Tundra offers some of the lowest towing and hauling capacities of its rivals. Unlike the Ford F-150's many engine options, the Toyota Tundra only has two to choose from. 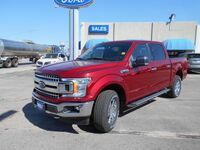 These, in addition to the Tundra's lack of Apple CarPlay and Android Auto software, leaves it at a disadvantage when compared to the F-150. Not only does the F-150 have the latest high-tech features, but it has more capability overall. 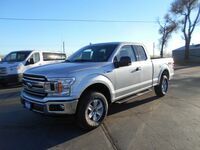 Best of all, the 2018 Ford F-150 maintains a smooth, precision driving experience whether you're towing heaving loads or are exploring downtown. In addition, the 2018 F-150's spacious cabin remains quiet and comfortable, even on the off-road models, thanks to the truck's fine-tuned suspension and shocks. It's the Ford F-150's formula for success that makes it the perfect companion for any adventure. Are you interested in taking a closer look at the new F-150? Stop by and see us today! 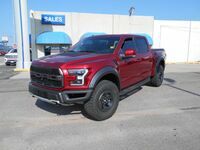 We have a wide selection of new and pre-owned Ford F-150 models in stock and a knowledgeable team of experts that can answer any questions you might have. From all of us at Wolf Auto Center, we look forward to speaking with you.